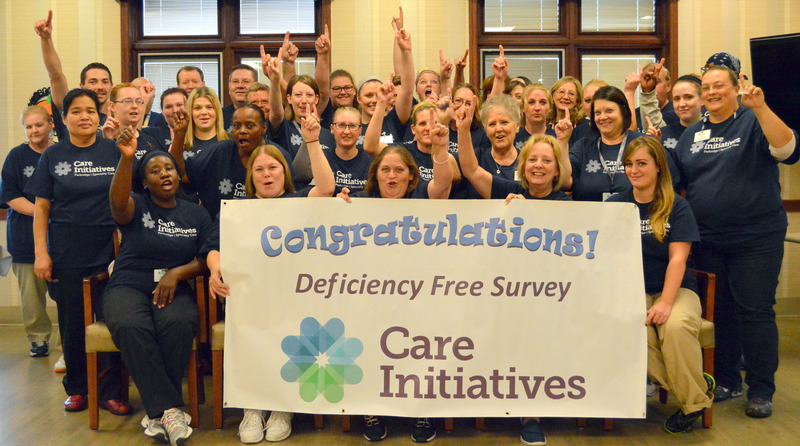 Parkridge Specialty Care in Pleasant Hill has received a “Deficiency Free” result on its annual survey in August by the Iowa Department of Inspections and Appeals. Parkridge Specialty Care is a 90-bed skilled nursing facility offering outpatient rehabilitation services, skilled nursing care, long term care and hospice care. Parkridge Specialty Care is owned and operated by West Des Moines-based Care Initiatives, Iowa’s largest not-for-profit post-acute and senior care provider. Care Initiatives and Care Initiatives Hospice operate 55 skilled nursing, rehabilitation, Alzheimer’s/dementia, assisted living and hospice locations throughout Iowa. For more information about Care Initiatives or Parkridge Specialty Care, visit careinitiatives.org or contact Parkridge Specialty Care at 515.265.5348.